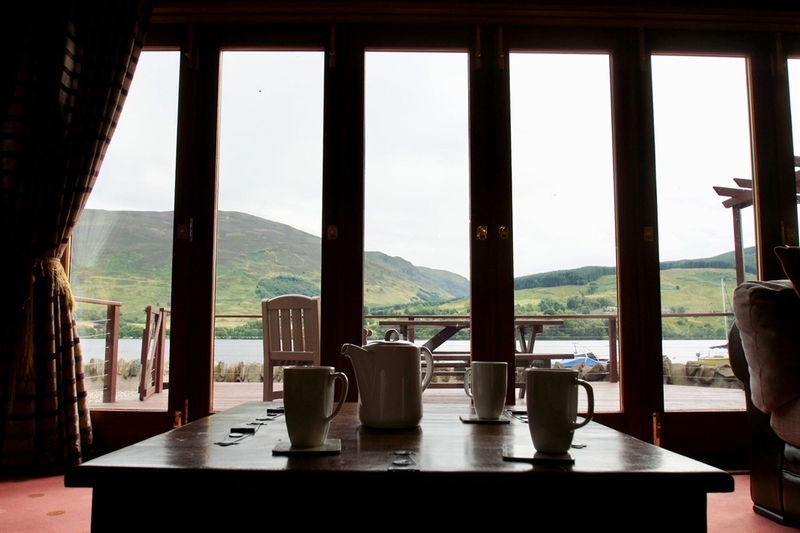 The Boathouse occupies a unique position directly beside Loch Earn, ideal for fishing, boating or spending a fantastic holiday enjoying beautiful scenery. 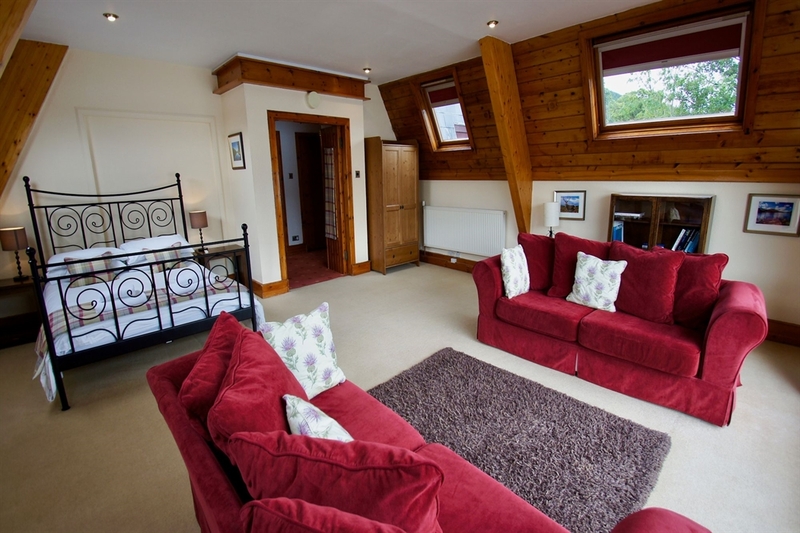 It sleeps 8 comfortably with a large open plan lounge, dining, kitchen area. 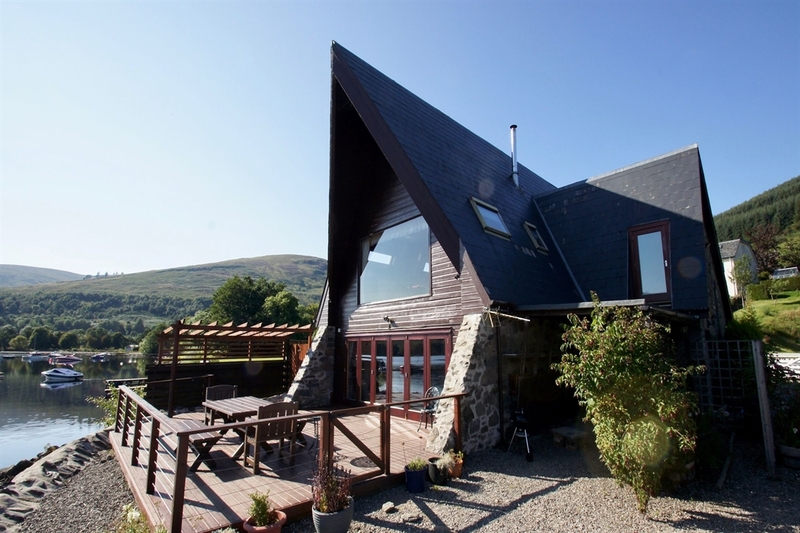 The Boathouse occupies a unique position directly beside Loch Earn, with its own jetty, moorings and fishing rights allowing you to water-ski, fish, sail and canoe from the door. 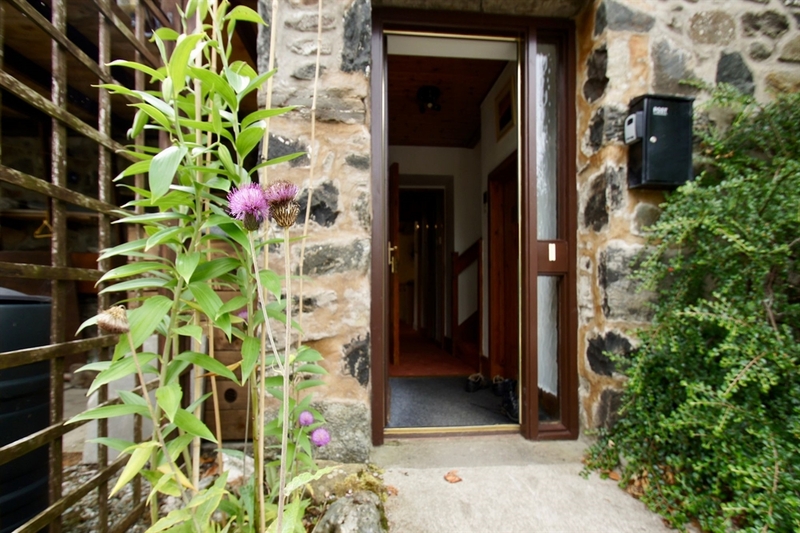 A slipway is available adjacent to the property by prior arrangement. 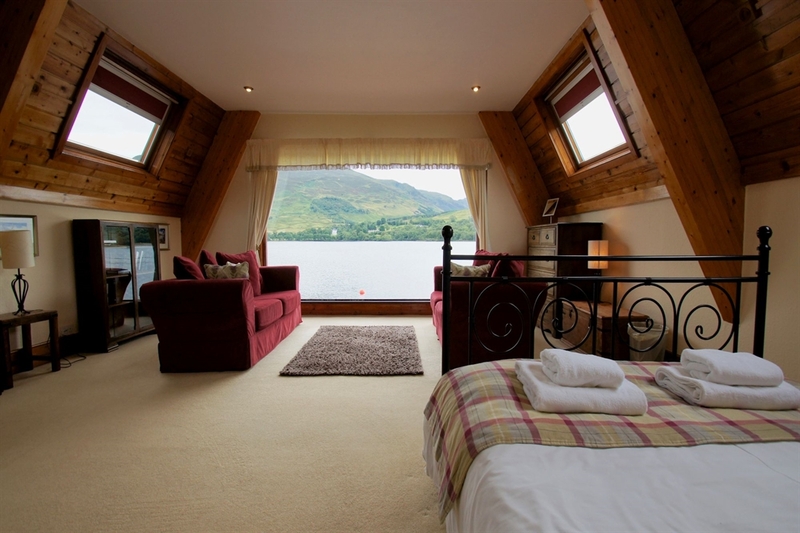 Situated on the banks of Loch Earn, in the heart of the Loch Lomond & Trossachs National Park, The Boathouse is surrounded by picturesque mountains, loch, castle, village and golf courses. 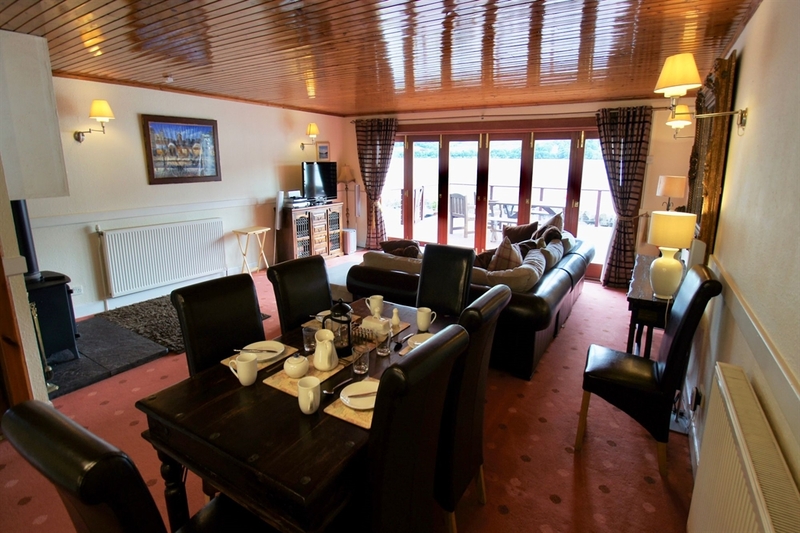 Facilities: On the ground floor an extensive Lochside deck area offers a superb social space, with access from the lounge via stunning, fully retractable french-doors where you can sit and watch the activity on the Loch; you may see the sea plane or the Osprey fishing. 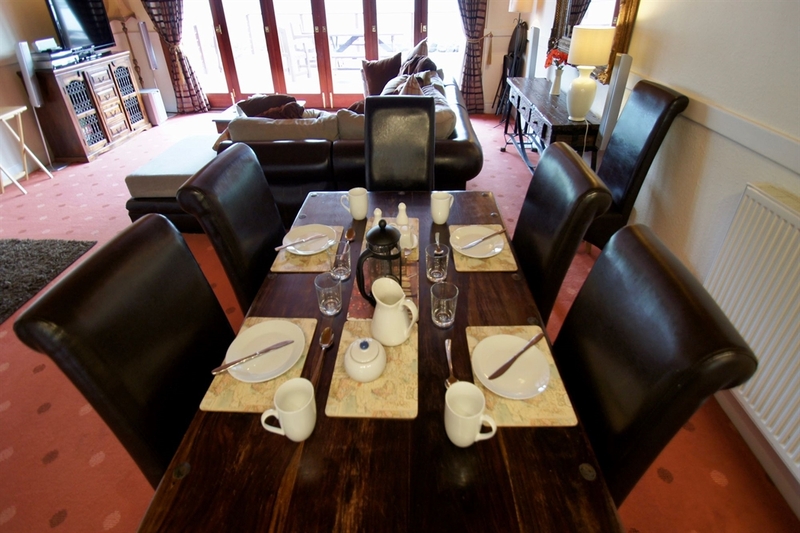 A large open-plan living/dining area, with wood burning stove, is the social hub of the house. 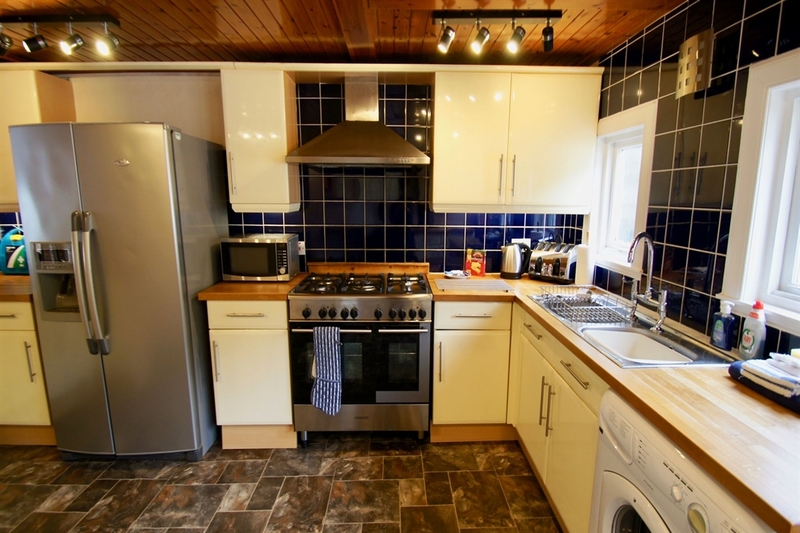 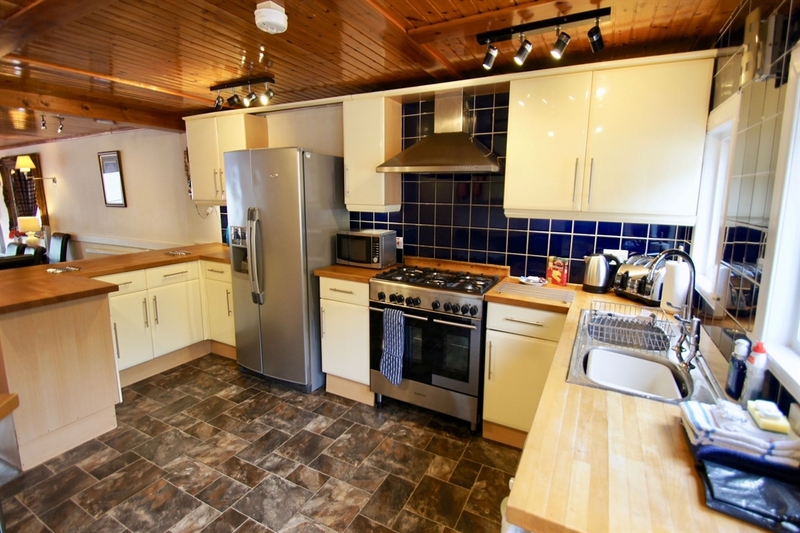 The kitchen is open plan to the living and dining area and is well equipped with American style fridge freezer, 6 burner hob with 2 ovens, dishwasher and washing machine. 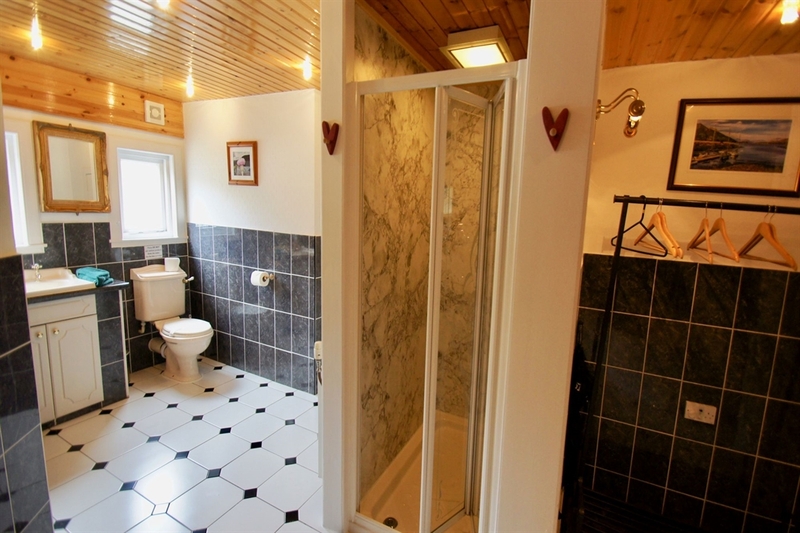 There is a big family bathroom with shower and large corner bath. 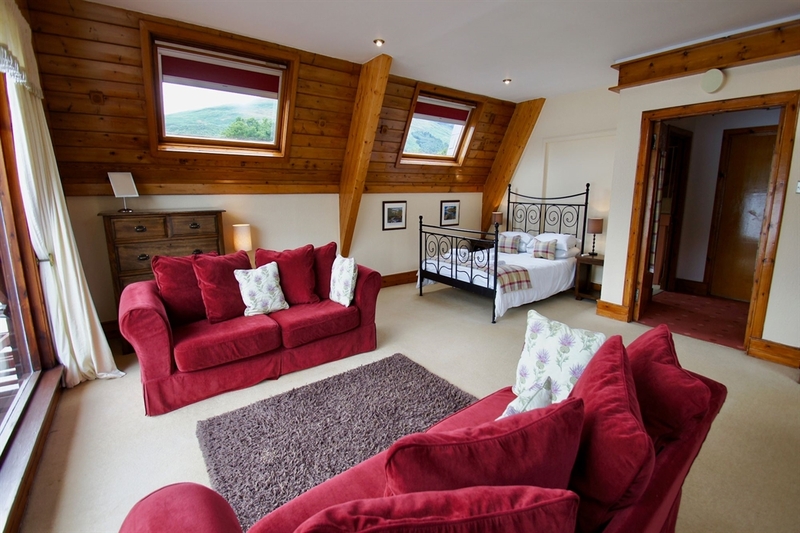 On the 2nd floor is the master bedroom with its own private sitting area in front of a huge picture window where you will see Glen Ample, Edinample Castle and a spectacular view of Loch Earn. 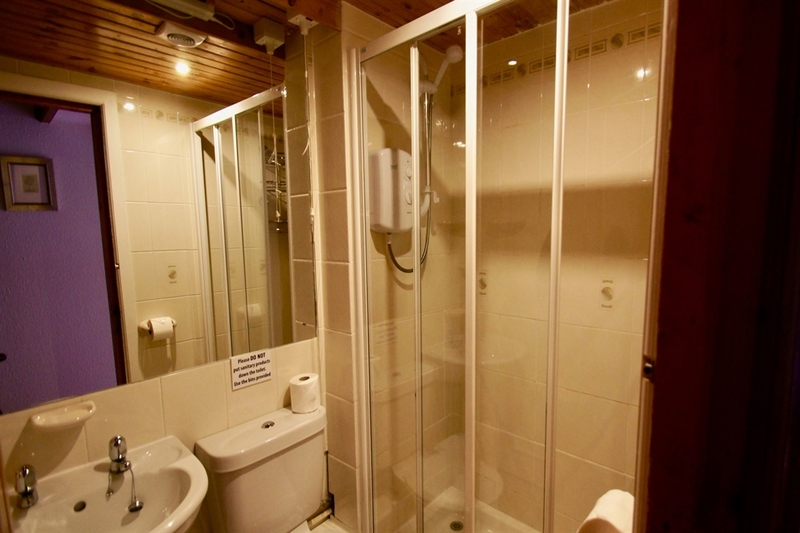 There is a separate toilet & shower room. 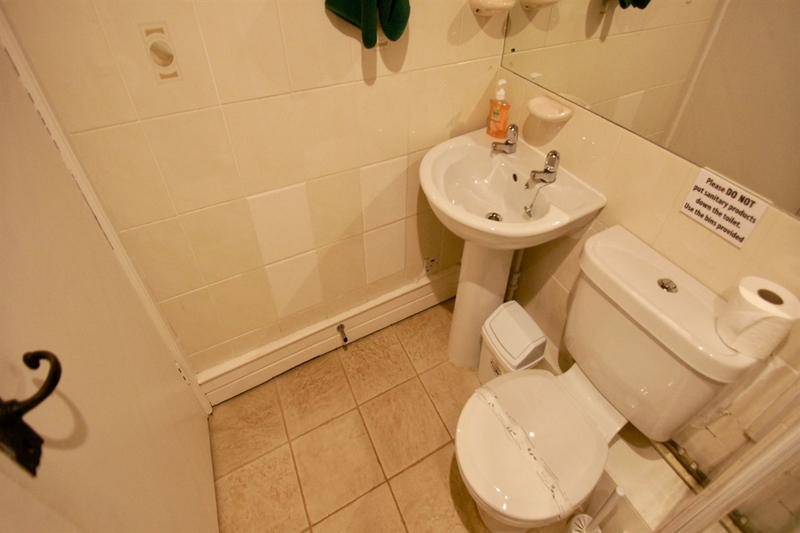 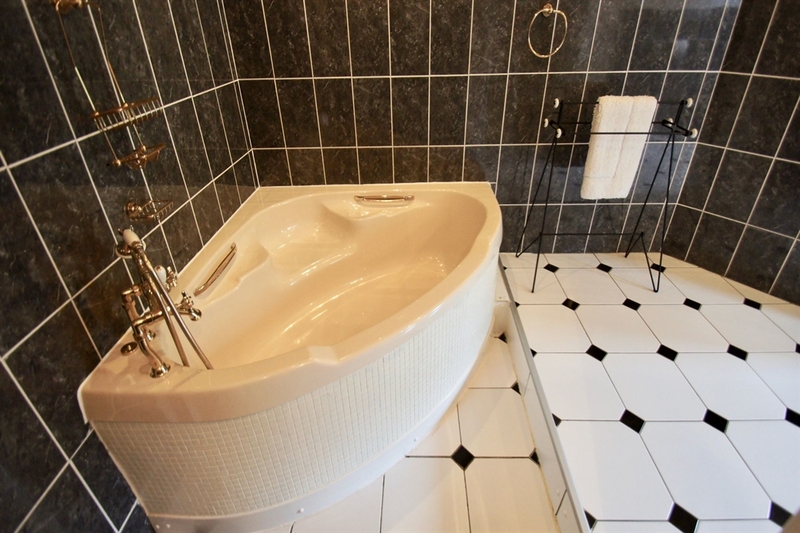 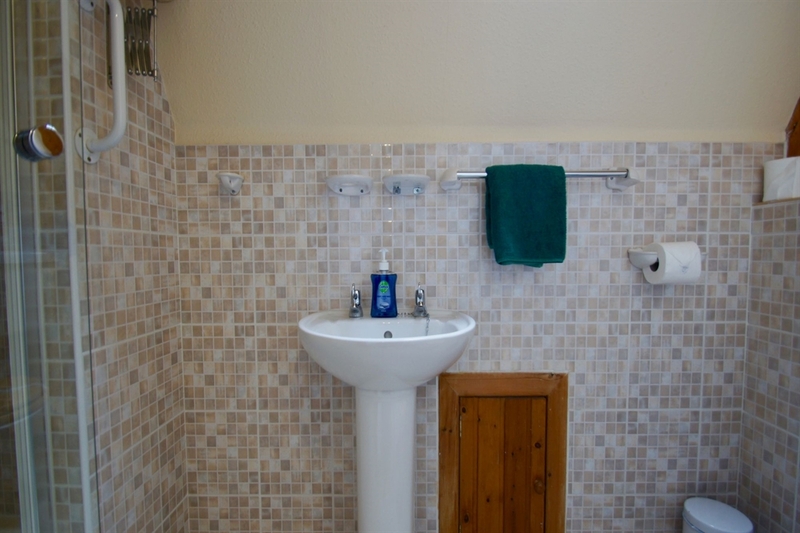 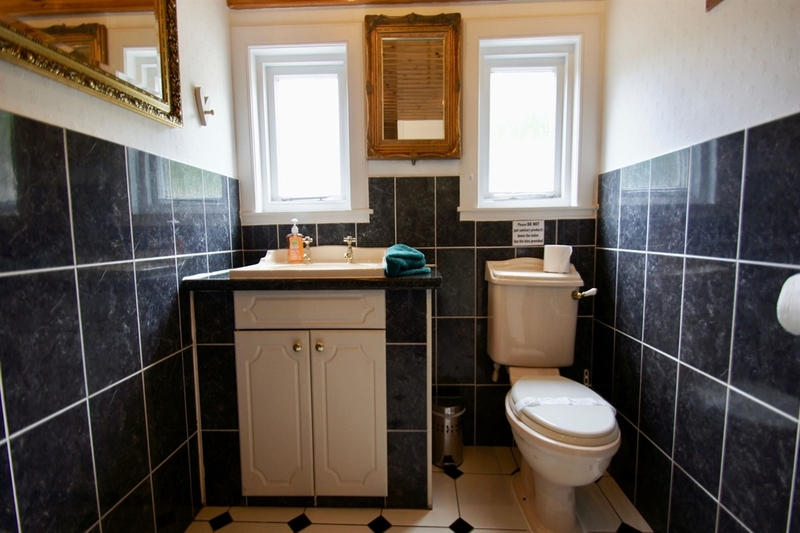 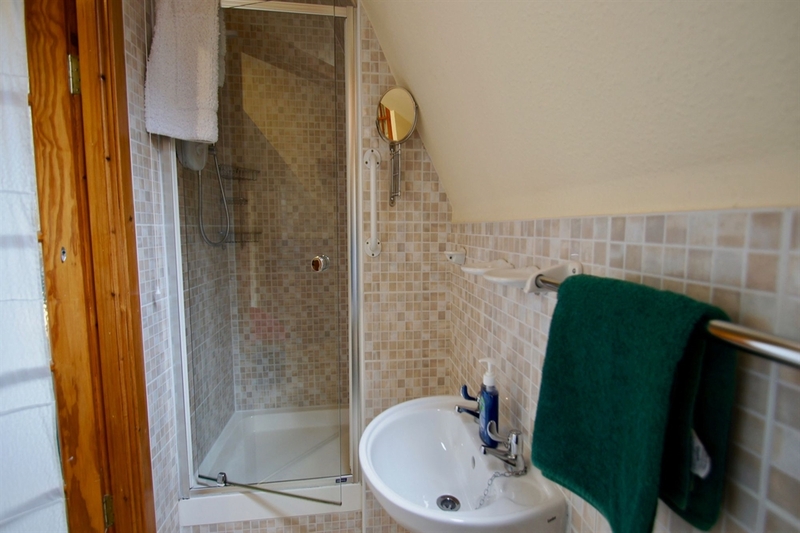 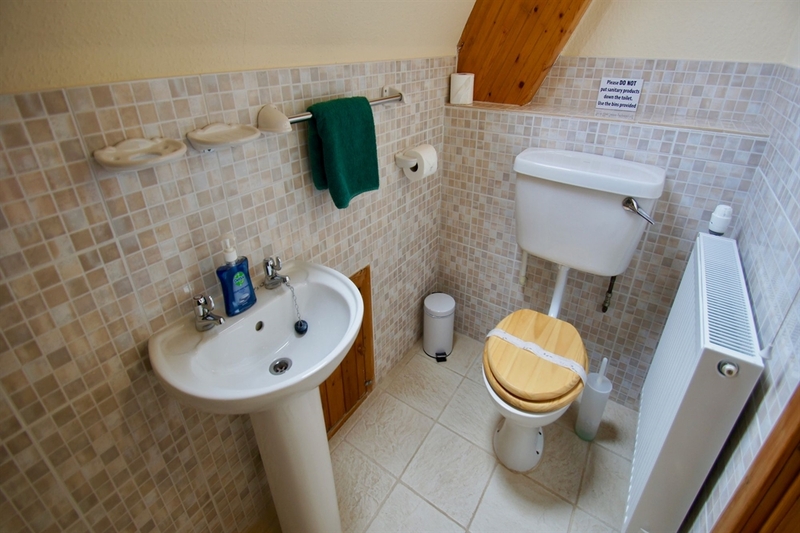 A large twin bedroom with en-suite shower room is also located on the 2nd floor. 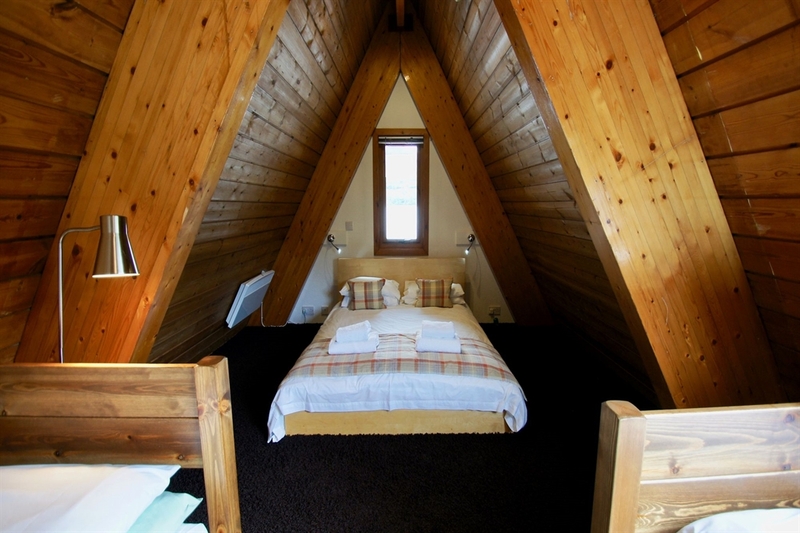 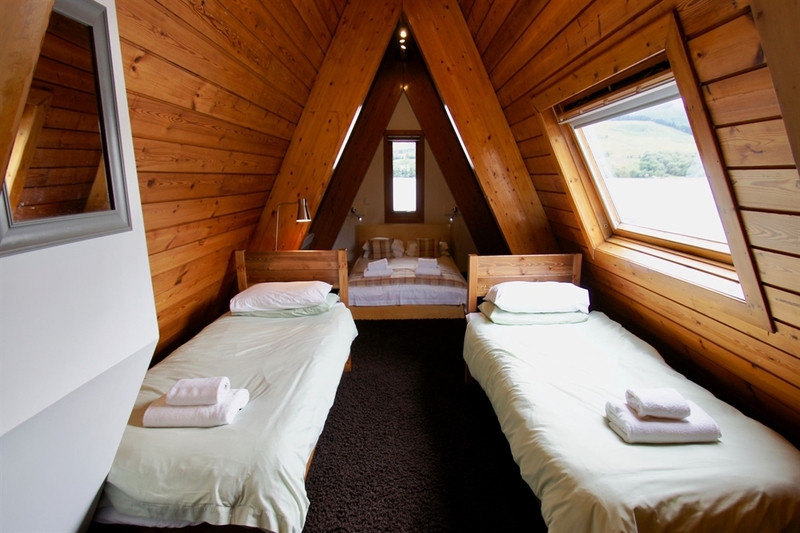 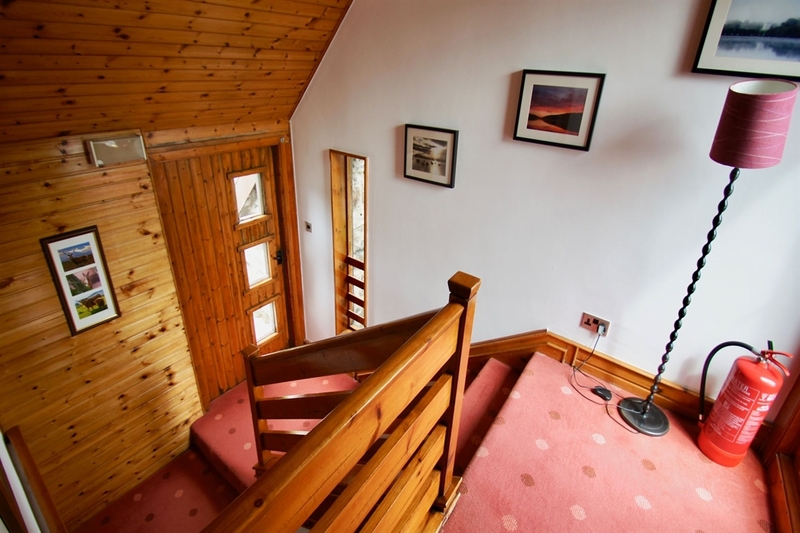 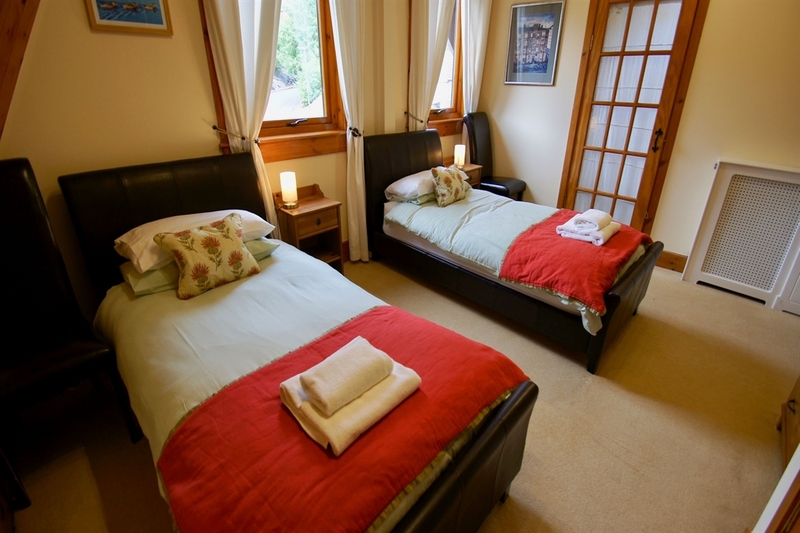 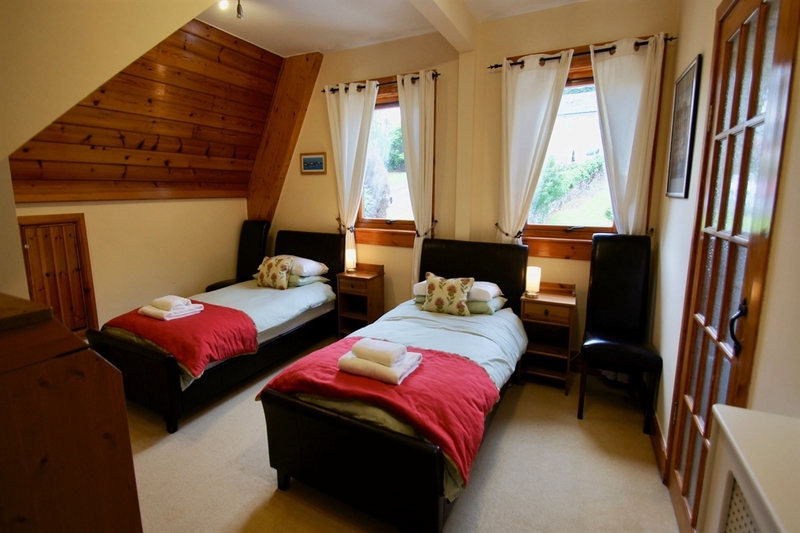 The spacious open plan attic room on the 3rd floor has a double bed and double bed-settee. 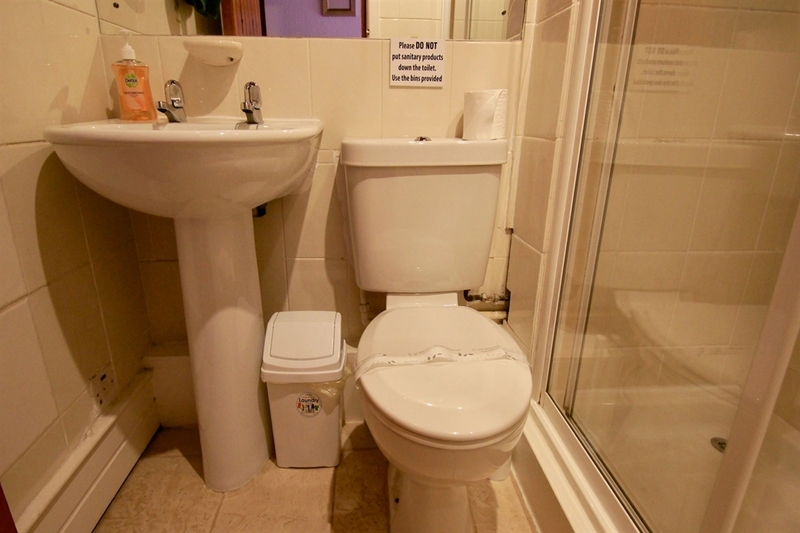 Please note ! 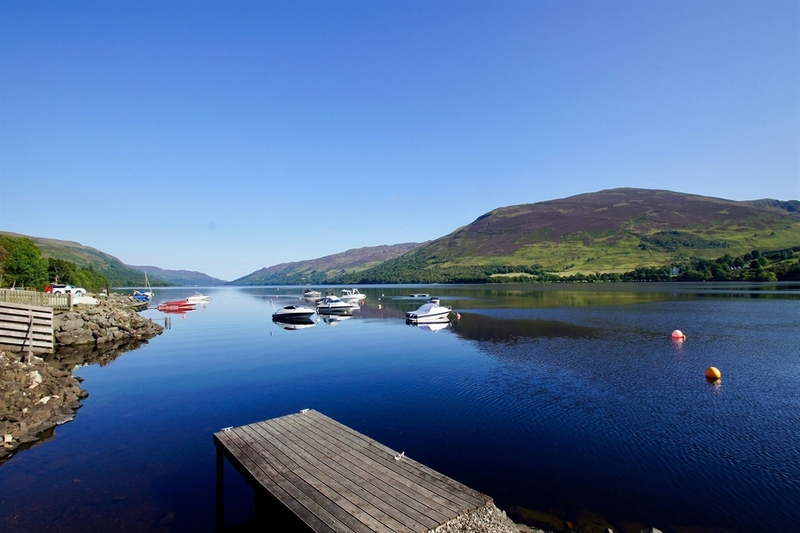 If you intend using your boat on the Loch, proof of a current boat insurance will be required . 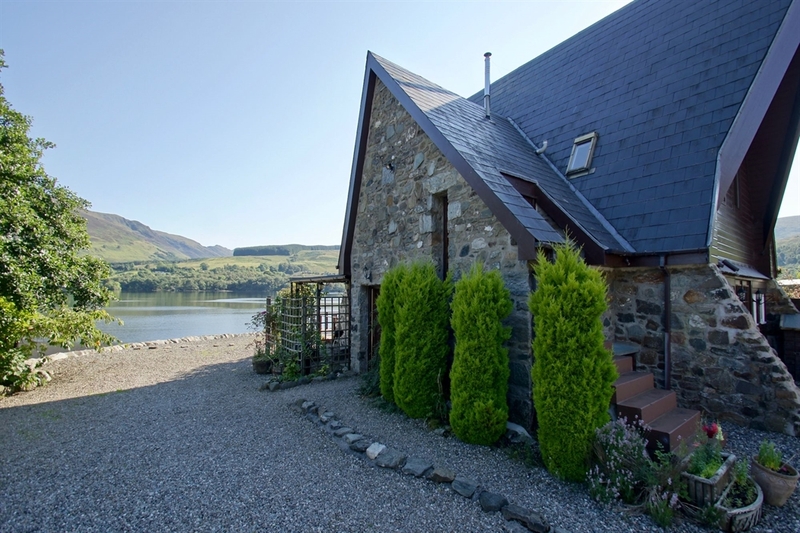 The slipway in the grounds of the boathouse cannot be used but there is a slipway adjacent to the property that can be used by prior arrangement.